We can’t assume they have it, so skipping over deliberate instruction and practice of number sense is not an option! I start at the very beginning of the year with math talks at calendar, and math workshops, using my Number Sense Anchor Charts to support instruction & scaffold at labs. 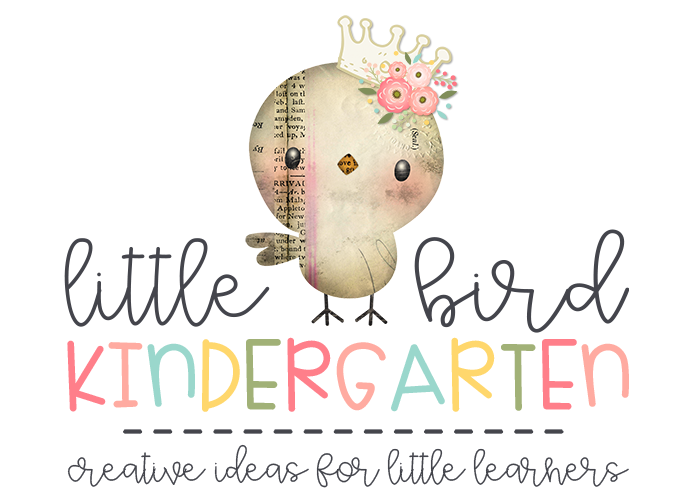 They offer multiple representations and pneumonic rhymes for writing the numerals. 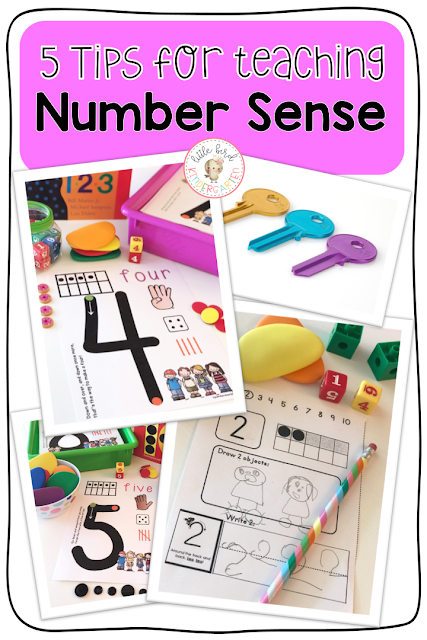 Here are some tips for teaching number sense to your littles! 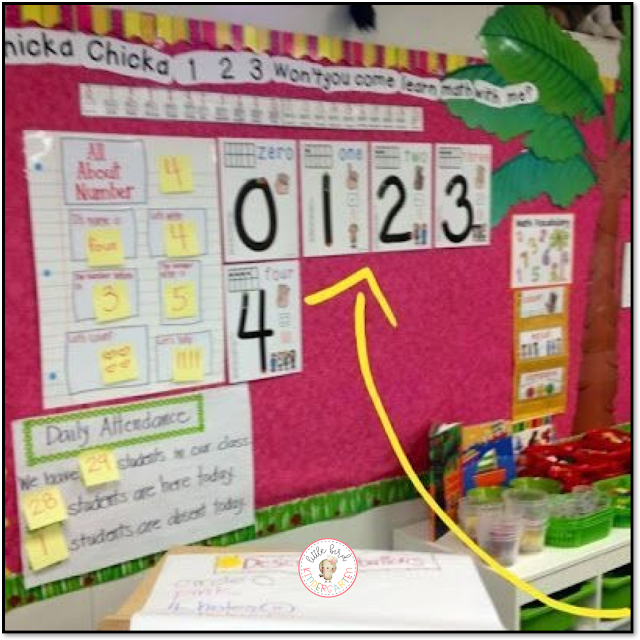 a 2 = 🍎🍎 ... even if they do, it won't hurt them to hear how you talk about numbers and make sense of the numerals and quantities. Starting out on the same page is SO important. Using the same language and them hearing you articulate math talk is key - from the first day of school. 2. Use TPR ... all day long! TPR (total physical response) makes ALL the difference in solidifying number sense. They REALLY need to show those numbers on fingers. I even show them how I use my thumb to hold down fingers I don't need when I'm showing how many. For some of them it's a new skill just to learn how to manipulate their fingers! 3. 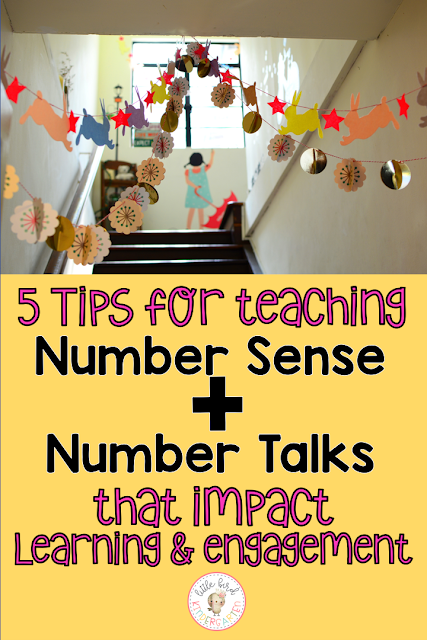 Talk numbers all day long, not just during math instruction. Make a point to mention numbers during every content area in some way. "Here I have 3 books that we are going to read today! Let's count them! 1, 2, 3! Show me three fingers!" .... etc. Inserting it naturally in LOTS of conversations will make a huge difference! little questions or challenges. I encourage TPR between the partners when they are talking numbers as an added way to solidify number sense. 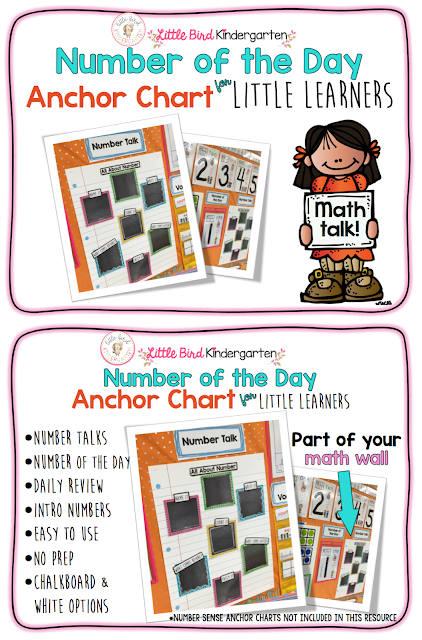 I do not post my number anchor charts on our calendar math talk board until we have learned them. Our "number of the day" is something we do together, so they become a partners in the reason the numbers are posted on the board (very impactful!) vs. having them already there and they just become another piece of text around the room. Even after we get to 10, i still do a number of the day. 5. Invitations to count and practice number sense. There are soooo many ways to do this! Math workshops, labs, centers, small groups, etc. Whatever works for you in your classroom, just make sure you provide opportunity everyday. Practice is essential. Using any hands-on manipulatives you have. Using theme related objects is a fun way to integrate and make it new and fun each week. As you observe them at their workshops watch to see if they are beginning to count with accuracy, touching one object and saying one number. If not this is the time to model for them and provide a hand over hand to scaffold for them. 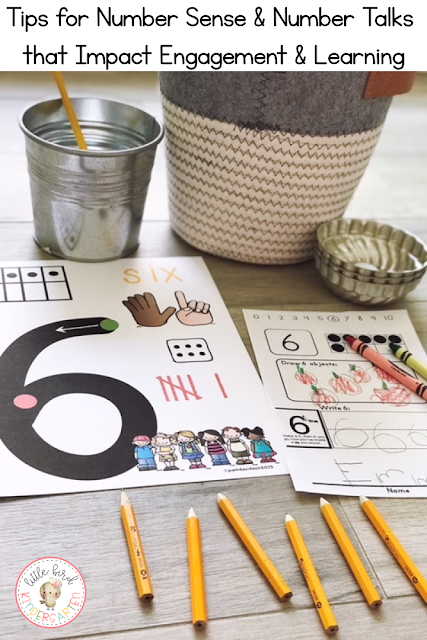 Number sense is essential to any and all future math learning, so starting out with solid instruction and hands-on practice to provide a concrete foundation will be an invaluable building block in their math schema! 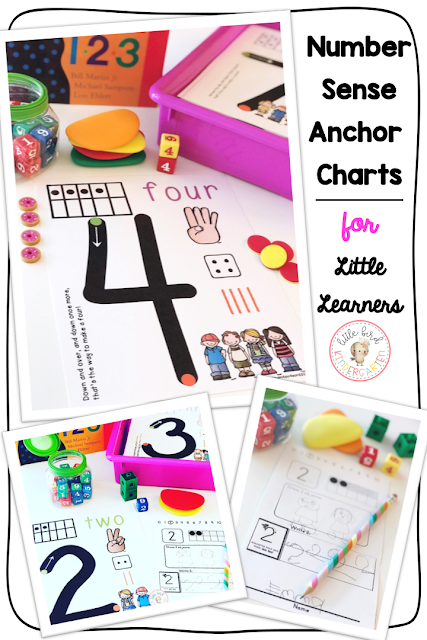 Find our Number Sense Anchor Charts for Little Learners in the shop to help you guide your young mathematicians!